Ah, almonds. Natural, blanched, toasted….sliced, chopped, slivered, ground, or whole—all good, so so good! There are countless ways to cook with almonds. They can be added to your favorite salads; sprinkled over vegetables; stirred into cake, cookie and muffin batters; used to coat chicken or fish; ground into nut butter; well, the list goes on and on. 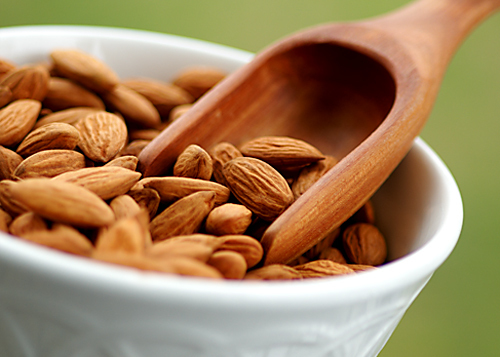 But, perhaps the simplest and best way to enjoy almonds is as a snack straight from the shell. Joe keeps a large container of almonds in the studio, and after the three of us “catch up” with a cup of coffee and treats from Stew Leonard’s (believe me, it’s the best part of the day), I head straight to the almonds for a great big handful! According to the Almond Board of California, almonds are cholesterol-free and just a handful a day may help you maintain a healthy heart and healthy cholesterol levels. 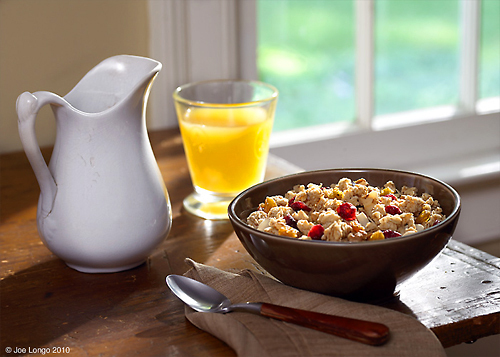 They are also an excellent source of vitamin E, and a good source of fiber. So why not make your heart happy and pop a few almonds into your mouth each day? You (and your heart) won’t regret it. p.s Let me know what your favorite almond recipe is!